CLEARING SKY, BREEZY, AND COOLISH ON PALM SUNDAY IN THE NATIONS. THERE'S ALMOST TWO INCHES IN THE RAIN GAUGE FROM LAST NIGHT AND YESTERDAY AFTERNOON. PRETTY SOGGY AROUND HERE. #4 GRANDSON GRADUATING FROM HIGH SCHOOL. THIS IS ON THURSDAY, PARTY ON SATURDAY. WE'RE GOING SATURDAY. I HATE SITTING THROUGH GRADUATION CEREMONIES AS BAD AS TEE HATES PLUMBING. DARLING WIFE'S HI SCHOOL CLASS IS CELEBRATING THEIR 60TH THIS WEEKEND AND #7 GS IS TO BE BAPTIZED SATURDAY, SO WE WILL HAVE A HIGH CHURCH EASTER IN OKC. #8 GRANDSON IS DUE FOR PICKUP IN JUNE OR JULY. THAT WILL MAKE FOUR CHINESE GRANDCHILDREN. WHO'DA EVER THUNK IT? Morning guys...Up early and off to Palm Sunday Mass. We had a reading of the Passion I have never heard before this morning. The sun is shining but it is chilly. Supposed to warm into the mid to upper 50s today. Not much on the agenda. Gris, I’ve been to so many graduations, they don’t bother me at all, but I understand your dislike..... Taxes, yea, don’t have our refund yet, but hopefully soon. The game last night was fun. Hard to beat sitting in the dug out suite....but I can only justify doing that hat once a year at best. —however, we don't all have to start running now: "Police say the bird involved in the incident remains at the property." 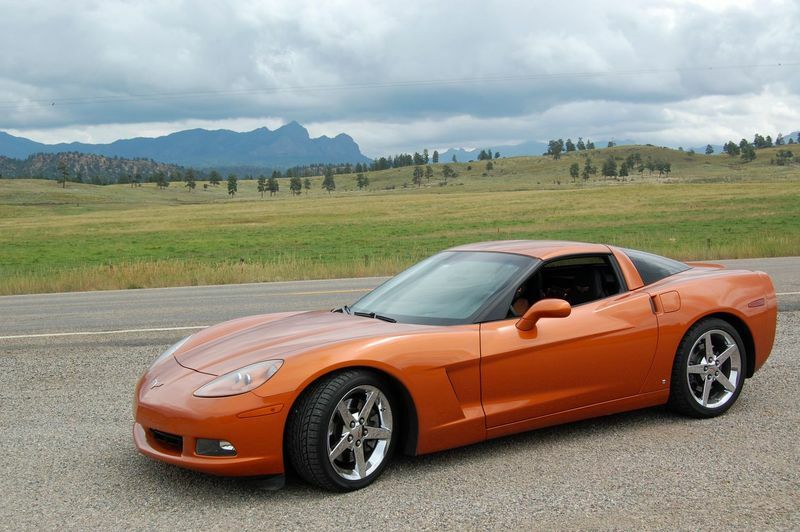 Lots of folks whose opinions I trust believe the C6 ZR1s are keepers. "Low retail" is $55k per NADA. KBB prices the car at $52k with Blade Silver, 3LZ, and 60k miles.